A Definitive Ranking of Men's Facial Hair in Classic Bollywood Films - Mr. & Mrs. 55 - Classic Bollywood Revisited! Raj Kapoor in a promotional photograph for Dil Hi To Hai (1963) sporting a suave ‘m’ mustache. Happy Movember! This lovely time of year is a month when men around the world grow out their mustaches to change the face of men’s healthcare–such as through raising awareness for prostate and testicular cancer. Read more about the Movember Foundation here! Inspired by this movement, today we present a definitive ranking of men’s facial hair in classic Bollywood films, a photographic indulgence of every important mustache and beard that hit the silver screens of Bombay and then bounced straight into our souls. And God knows we needed something this in our lives after that f*$&ing insane apocalypse difficult election week. But be forewarned, some of these manes can bite–and others might make you suddenly feel itchy. Most of all, that fluttering sensation in your chest like a fluffy mustache tickling your heart–that’s called love. His mustache is basically a pair of angel wings. Shashi shines in a shaggy beard and a full-bodied mustache with just a hint of delicate curl. Looking bad never looked so good. Amitabh goes incognito behind a blanket of his generous wool. The Mughals were champions of many things including the artistry of a man’s face. Note the paintbrush side-burns that complete this regal look. Rishi may be dying of thirst, but his scruff is on fleek right now. Pran is a class act as a Pathan sporting a well-tamed auburn fur coating. Something alive might actually be crawling on his face. Something beautiful and shimmering. 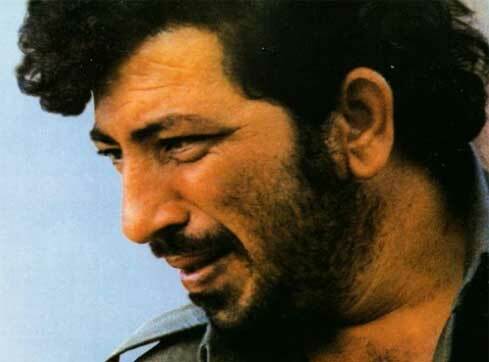 While this look should never be tried at home, Shammi’s iconic goatee made men of boys. The only thing fuzzier than the tuft of fur nestled in the dimple of Jeetendra’s upper lip is his vision through those thick hipster lenses. Thoughtful, courteous, and deadly–the curly mustache of Dev Anand is nothing short of a war hero. Because nothing quite says “Inquilab Zindabad” like a well-trimmed mustache. Once a classic, always a classic. The Egyptians building Giza had no idea what they were inspiring. Be still my beating heart. I bet there’s a dozen plaid shirts in his closet, and that he listens to actual CDs on his walkman because he just wants to be authentic. I DIE THE SWEET DEATH BY LOVE OF A MUSTACHE. There are few things in life greater than this show-stealing masterpiece of men’s grooming. Men, time to take a hard look in the mirror and evaluate if you’re really bringing your full potential to the world. And remember, just because we all love to see a little facial hair in November, it is NEVER OK to flash your chest hair in public in broad daylight à la Amitabh Bachhan, even if it’s just an unsightly tuft from your too-many-buttons-unbuttoned polo shirt. The 70s are over. These things are not equivalent. I just felt like that had to be said. The next question is naturally, real or fake? An excellent group for sure but I still think clean shaven is best! Sorry gentlemen. Sorry I love my beard. Love me love my beard.imagine Anil kapoor, Raj Kumar without a beard un lovable almost. It seems also that facial hair was fashionable regardless of age. Maybe today, it is more common for older actors to have facial hair. I feel like there’s been an oversight, Rajesh Khanna’s ‘stache in Dushman was pretty killer. But I definitely agree with the pick of Raj Kumar for number one!